The Champaign County Courthouse was designed by Joseph William Royer. The municipal building was built in 1901 in Urbana, IL. In 1898, a consensus for the replacement of the old Champaign County Courthouse was reached amongst Champaign county board officials. 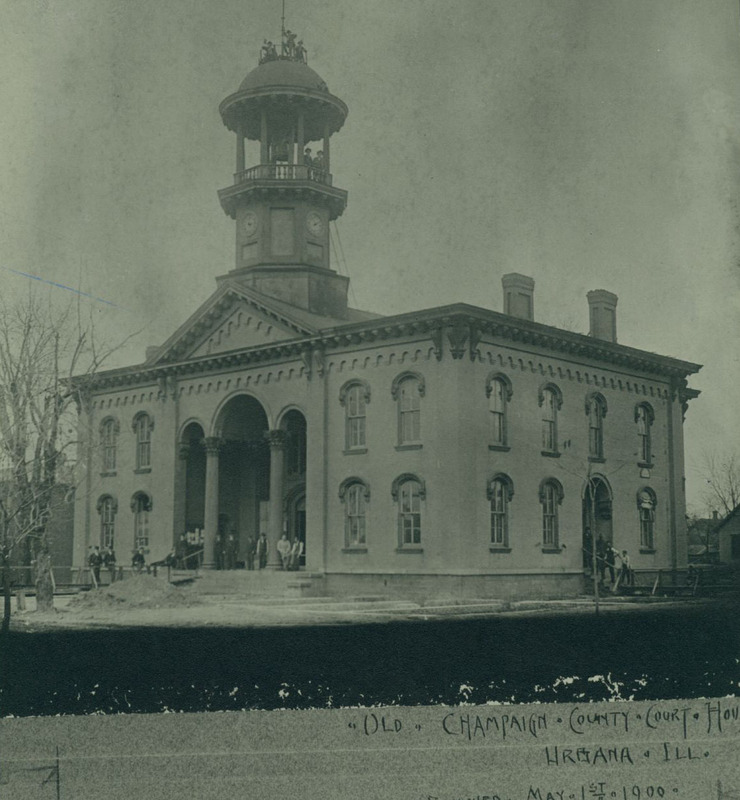 The old courthouse would be located in Urbana like the first Champaign courthouse, a rudimentary log cabin, constructed in 1836, three years after the inception of the Champaign County in Illinois and the recognition of Urbana as its county seat. In 1849, a more appropriate wood and brick structure replaced the log cabin and was erected with a central bell tower. The years following 1849 up until 1883 saw the evolution of this structure into the courthouse that the Champaign county board officials sought to replace. 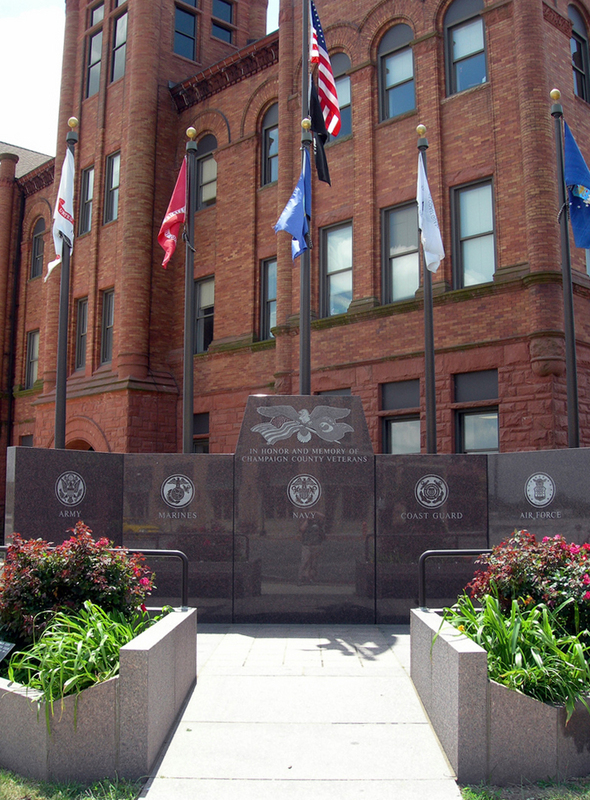 The eventual renovation of the county courthouse would inevitably cause a political rivalry between the two cities of Urbana and Champaign because of the county board’s unwavering ambition to retain the location of the courthouse in Urbana despite a population growth west of the city (Adams 18). To realize their ambition, board officials devised a plan to avoid a county vote that could possibly move the structure to Champaign. To do this, officials intended to simply repair the existing building, thereby avoiding the total reconstruction of a new courthouse and a subsequent county vote. The plans submitted by V. Jobst and Sons of Peoria met the board’s stipulations and were accepted, thereby making Joseph Royer the new author of this municipal monument of the Champaign County. 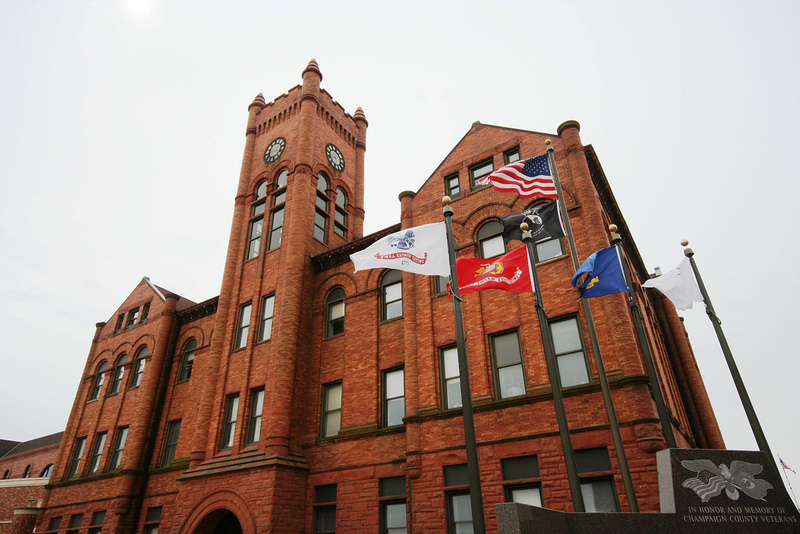 The new courthouse, designed in the Romanesque Revival style, cost the county $150,000. The focal point of the structure was its 135-foot high tower. Consequently, this clock/bell tower was battered by lightning strikes resulting in the eventual loss of the original battements in 1952 (Champaign County Government, 2006). 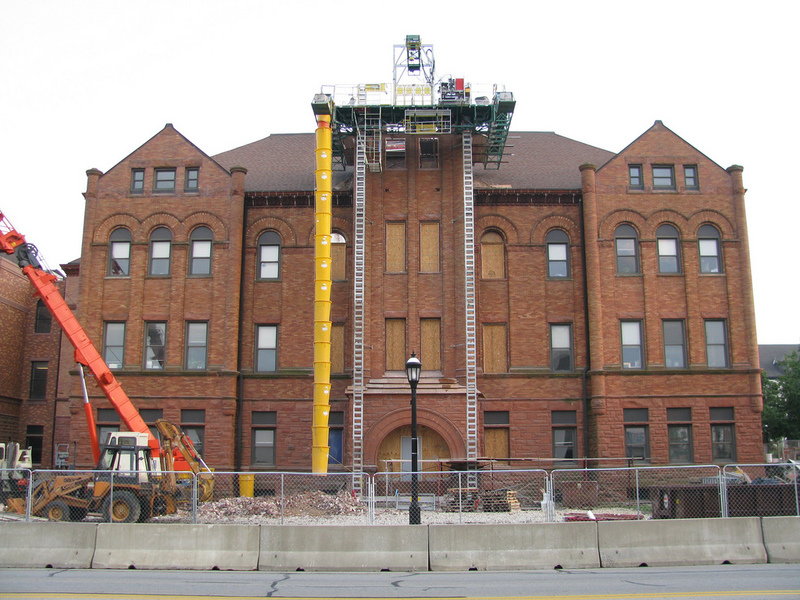 Due to the lightning strikes, the tower was lowered to 85 feet and talks of renovation ensued. “Through private donations from County residents, $1.154 Million was raised to pay for rebuilding the clock and bell tower to its original 1901 height” (Champaign County Government, 2006). The primary design stipulation brought forth by the Champaign County Board was that the new building not be a new building per say. Therefore, in 1901, Joseph Royer, a graduate of the University of Illinois School of Architecture, saw his designs come to fruition. The $150,000 structure was in the Romanesque Revival style which had begun to appear around 1870 and survived up until the early years of the 20th Century. The courthouse is made of red sandstone with a main cornice of mottled brick which crowns the entire exterior of the original structure. The structure was able to be defined as a renovation because Royer’s designs included the inclusion of a “small section of wall that was built into the new structure” (Adams: 18). The roof was done with heavy steel and steel trussing. Rising above the roof and representing the focal point of this structure is its 135-foot clock and bell tower. Ultimately, the designs of this building met the requirements of the client by preventing any county vote to move the structure and by presenting a logical and symmetrical space for the organization of local governmental processes. The Champaign County Courthouse is a municipal building. Many programs are available within the building. The main program is the SIxth Judicial Circuit court. 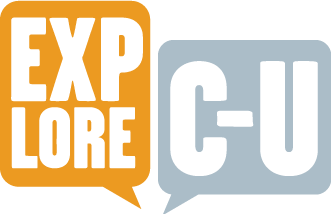 Other programs include, but are not limited to drug court, marriage court, and a law library. Joseph WIlliam Royer was known as “Urbana’s Architect for 60 years”(Adams 117). In 1895 he received his degree in Architecture at the University of Illinois. He then moved on to be Urbana’s city engineer and designed private residences. Royer’s firm went through many name changes: Royer and Brown (1900-1905), Royer, Danley, and Smith (1925-1932), Royer and Danley (1935-1938), and Royer and Davis(1939-1954) (Adams 118). Royer was very influential in Urbana throughout the 19th and 20th century. His architectural contributions included places for many community events as well as many residential buildings. • Zeta Tau Alpha Sorority house at Vermont St. and Lincoln Ave.
Jing Huang, Violet Labrosse, and Thomas McCormick, “Champaign County Courthouse,” ExploreCU, accessed April 19, 2019, https://explorecu.org/items/show/316. Adams, Brian. Joseph William Royer Urbana’s Architect: Champaign: The News-Gazette, Inc, 2011. Print. Champaign County, Illinois Local Government Information Center. The County of Champaign, 2006. Web. 10 Nov. 2013. Vincent, Keith. Courthouse History. courthousehistory.com, 2010. Web. 11 Nov. 2013. Author Unknown. Old Champaign County Courthouse, Urbana. 1900. 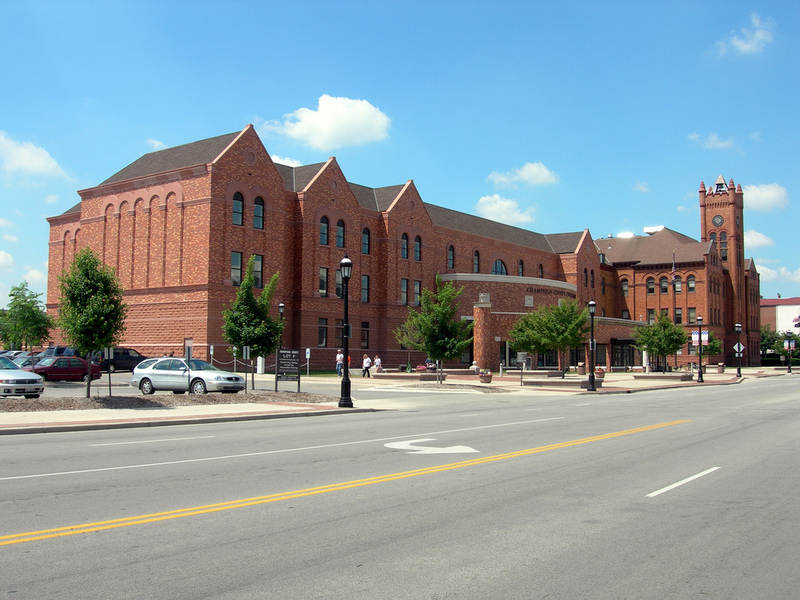 Champaign County Historical Archives, Champaign. Turn of the Century Champaign-Urbana. Web. 18 Nov 2013.